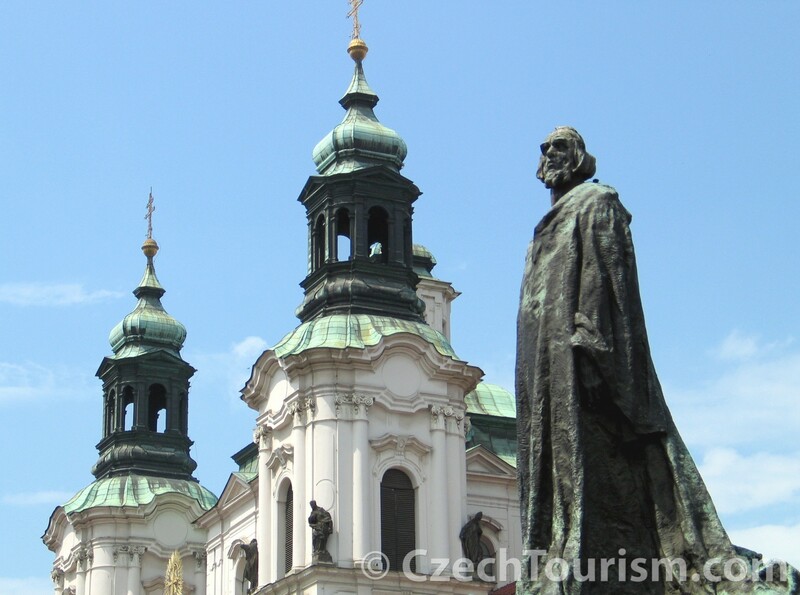 The reform movement in the Czech lands is associated above all with Jan Hus. His death triggered the Hussite revolution, whose impact extended into neighbouring countries. The Czech Reformation anticipated the Reformation elsewhere in Europe by about a century. Reform movements in the late 14th and early 15th centuries in Bohemia and Moravia were associated with the work of Jan Hus, a university professor and theologian who was influenced by the ideas of the English reformer John Wycliffe. For his convictions, Hus was persecuted by the Church and finally was burned at the stake as a heretic at the Council of Constance in 1415. His death triggered the Hussite Revolution in the Czech lands, which also impacted neighbouring countries. The symbol of the reformation was the chalice, which became a typical emblem of Protestant churches and prayer houses. The Czech Reformation came about a century before the European Reformation, which was led by another university professor, the Augustinian monk Martin Luther. 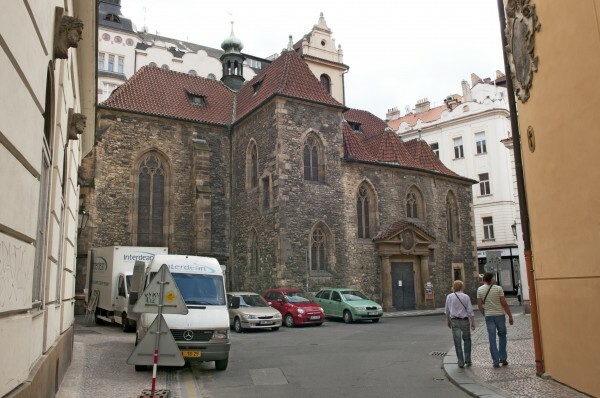 On the site of a Romanesque hospital church, construction of the Týn Church began in the mid 14th century. The church was completed during the reign of King George of Poděbrady. On the shield was a statue of the ruler known as the Hussite king and a large chalice, the symbol of communion in both kinds. In 1626, the sculpture of King George was replaced by one of the Virgin Mary, and the chalice was melted down and made in a halo. The illustrious Danish astronomer Tycho Brahe is buried in Týn Church. Bethlehem Chapel was built in the 1950s on the site of the original 14th-century chapel, which became famous as the pulpit where Master Jan Hus preached and was designated as a place for sermons in the Czech language. Everything that was preserved from the original chapel was put into the new building, designed by the architect Jaroslav Fragner. Valuable vestiges of the original decoration of the chapel are preserved parts of treatises by Jan Hus. The contemporary ornamentation of frescoes copying illuminations from the Jena Codex harkens back to the original atmosphere. 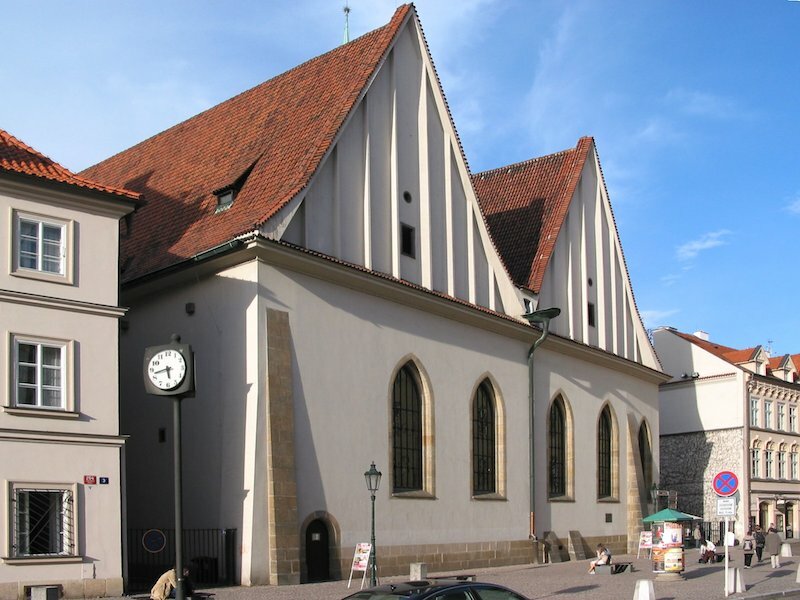 The Church of St. Martin in the Wall was rebuilt from a Romanesque to a Gothic form during the reign of Charles IV. The church gained its present appearance in a late Gothic reconstruction in the second half of the 15th century. The Hussite town of Tábor was founded in 1420 and became the headquarters of the radical Hussites. The name of the city was based on the New Testament story of the Transfiguration of Jesus on Mount Tabor, and was also a reference to the Hussite pilgrimages to the mountain. Today, Tábor is a picturesque town with a pleasant historical atmosphere. Besides the Church of the Transfiguration, another noteworthy stop in Tábor is the Hussite Museum inside the former Town Hall. The exhibition acquaints visitors with the Hussite movement and the history of the Hussite town. Also interesting is a trip through the Tábor catacombs. Near the centre of Tábor is the Baroque pilgrimage site of Klokoty, which in the Hussite period became famous as the place where Jan Žižka had Adamites burnt. They are commemorated here by a statue by František Bílek, whose artistic interpretation of the Hussite movement can be found throughout the town, but especially in a permanent exhibition in Bílek’s birthplace in nearby Chýnov. 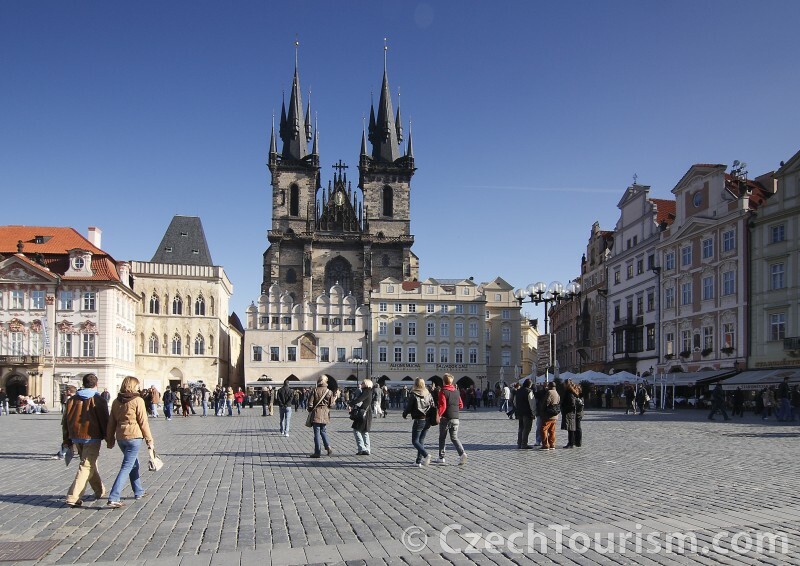 Baroque is the most visible architectural style in Prague and throughout the Czech Republic. The impression of a picturesque landscape punctuated with elements of Baroque architecture is still characteristic of the Czech countryside today. Czech Baroque is a specific form of Baroque culture, created here between the 16th and 18th centuries. Baroque has its roots in Italy and Spain, but in Bohemia it was enriched with new elements by local artists and craftsmen. Not only were churches, monasteries, palaces and chateaux built in this style, but it changed the character of the Czech countryside with small churches, chapels and rural farms. A connection was forged between the new style and local traditions. 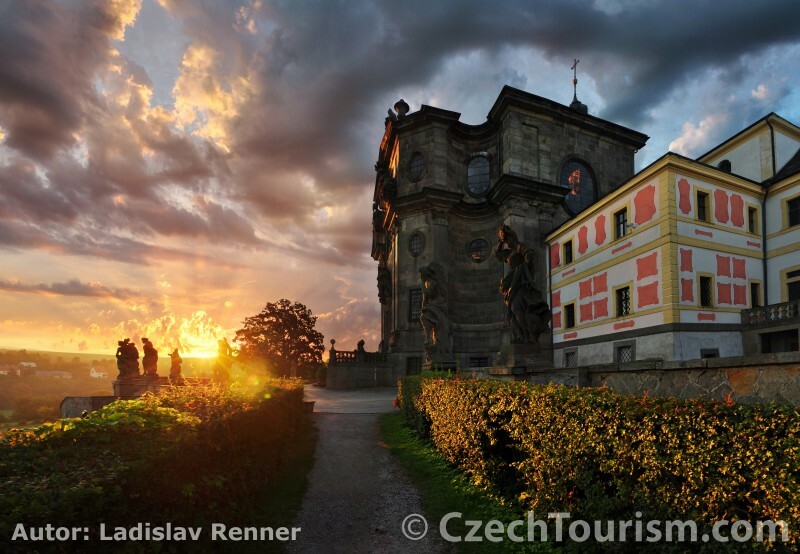 Buildings blended perfectly with their surroundings, and the impression of a picturesque landscape punctuated with elements of Baroque architecture is characteristic of the Czech countryside today. Baroque is one of the most visible architectural styles in Prague and also in the rest of the country. Significant architects who were active in the Czech lands include Kryštof Dientzenhofer, his son Kilián Ignác Dientzenhofer and Jan Santini Aichel, who was the originator of a style that is unique in the world: Baroque Gothic. The Church of St. Nicholas is one of the foremost Baroque buildings in Europe, and it is often described as the most beautiful building of the Czech Baroque. Its massive dome and slender tower are an integral part of the Prague panorama. An unforgettable experience is climbing up to the bell tower of the Church of St. Nicholas, which offers impressive views. Unique in all of Europe are the Baroque churches in the Broumov region, near the border with Poland. 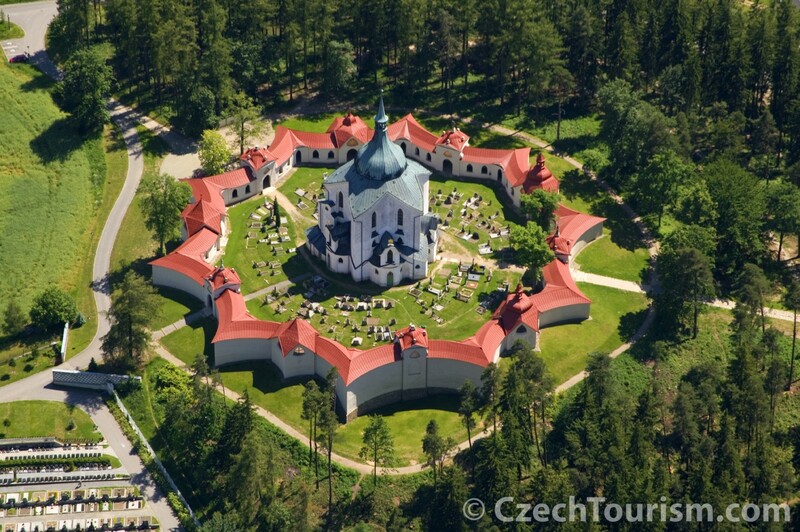 They were built on the grounds of the Broumov Monastery according to designs by the famous architects Kryštof Dientzenhofer and his son Kilián Ignác. The churches were built in a relatively short time, between the years 1709 and 1743. The group consists of a monastery in Broumov and small churches in nine surrounding municipalities: Martínkovice, Vernéřovice, Ruprechtice, Otovice, Heřmánkovice, Bezděkov, Vižňov, Šonov andBožanov. A cycling route goes past the churches in the Broumov area. The circuit covers the southern part of the Broumov region, setting off from Broumov and following secondary roads or pathways through Šonov, Otovice and Božanov to Martínkovice and then circling back to Broumov. The length is 22 kilometres. Taste the local Opat (Abbot) beer, whose history is closely intertwined with the history of the Broumov monastery. Good transport to the region is ensured by a train between Nachod and Broumov via Meziměstí (route No. 026). Driving time from Prague is about 3 hours. The architect Jan Santini Aichel managed to connect the dynamism of the Baroque with the Gothic tradition. 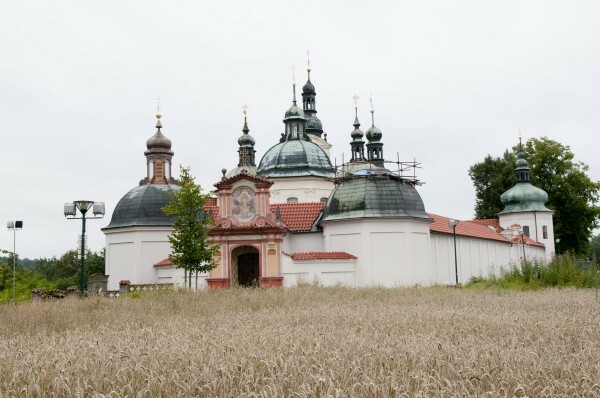 Thanks to important commissions, his buildings are indelibly inscribed in the character of the Czech countryside. Santini’s most famous work is the pilgrimage Church of St. John of Nepomuk on Zelená Hora (Green Mountain), directly above Žďár nad Sázavou. The building is a UNESCO World Heritage Site. The ground plan is in the shape of a five-pointed star, symbolizing Christ’s five wounds of martyrdom and also the five stars which appeared above the place of Nepomuk’s martyrdom. The church is designed on the basis of mathematical symbolism, and creates a well-illuminated space of perfectly balanced interwoven shapes. Santini also was responsible for buildings in the Cistercian monastery in Žďár, including the modifications to the Church of the Assumption of the Virgin Mary and St. Nicholas, the Lower Cemetery with Trinitarian symbolism, the Well Chapel of the convent building, and the monastery prelature. 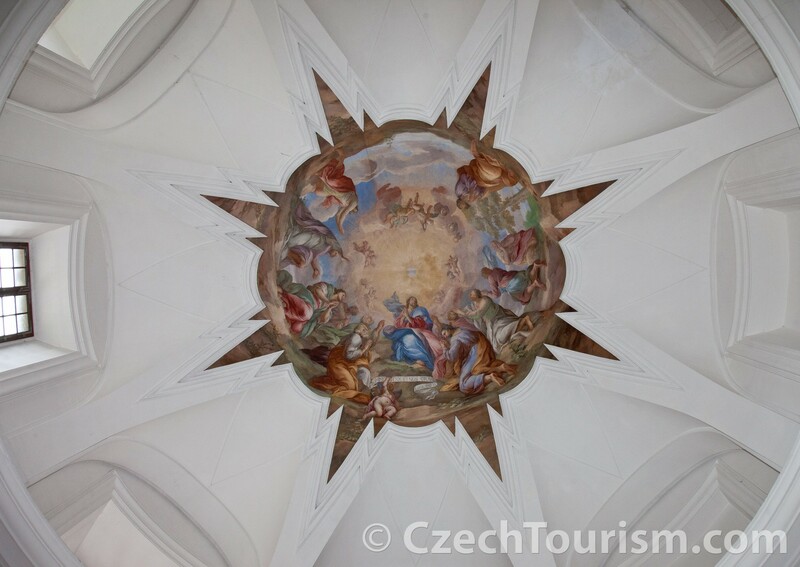 Part of the oldest Cistercian monastery in the Czech Republic and located in Kutná Hora–Sedlec is a monumental work by Jan Santini Aichel: the Church of the Assumption of the Virgin Mary. On the site of an earlier Romanesque church, a Gothic basilica was built in the 13th century. The building was extensively damaged during the Hussite Wars, and the monastery was devastated by fire. 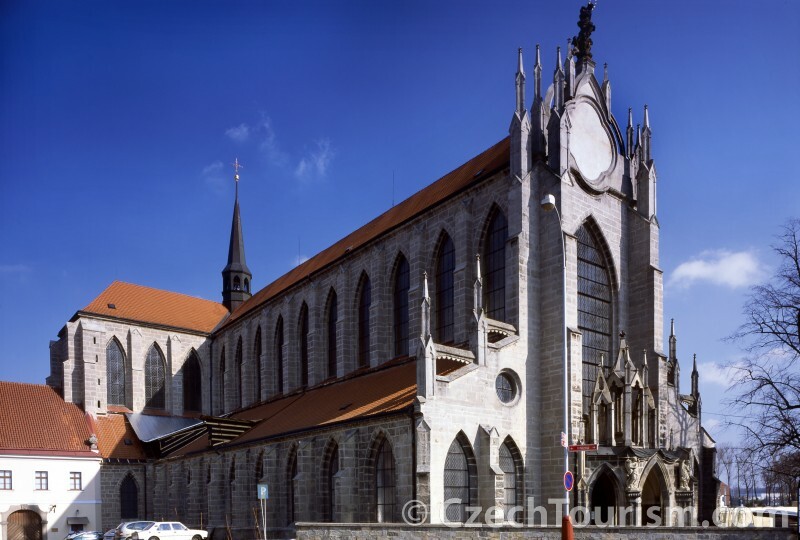 The restoration of the church was finished in the early 18th century, according to plans by the architect Pavel Ignác Bayer, who was soon replaced by Jan Santini Aichel, who at the age of 25 showed a greater degree of sensitivity and respect towards the original Gothic structure. The church was deconsecrated in the 18th century, and in the early 20th century it even was used as a tobacco factory. Jan Santini Aichel was also invited to build at other monasteries. The Benedictine monastery in Kladruby is the joint work of Santini and Kilián Ignác Dientzenhofer. This magnificent Cistercian monastery complex was established in the Baroque period. By using an ingenious oak construction, the architect Jan Santini Aichel managed to solve the local problem for buildings of a very damp subbase and a lot of ground water. 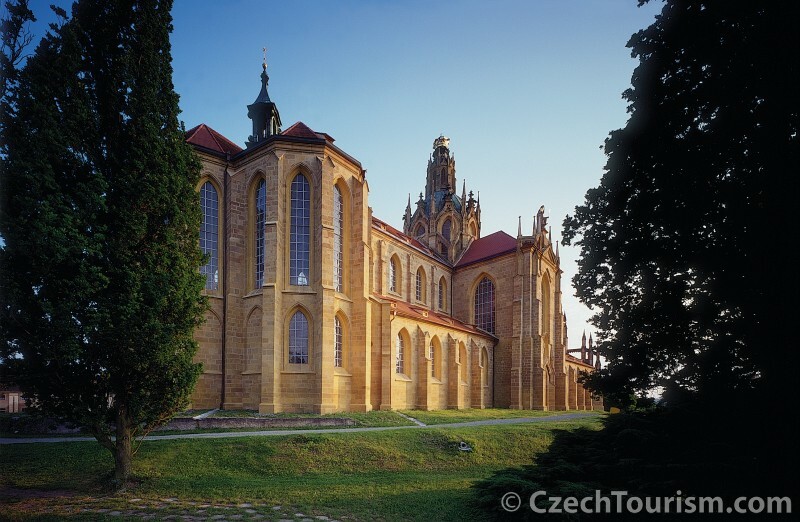 The former monastery now attracts visitors to see its splendid Baroque church, library and chapel. Kuks Hospital is an island of Baroque art in the East Bohemian countryside. In the picturesque valley of the river Labe, František Antonín Špork had spa buildings and a chateau constructed in the early 18th century after the discovery of a medicinal spring. Later, a church was added and also valuable sculptural decoration. In the lapidary you can see the originals of the allegories of Virtues and Vices by the most important Czech Baroque sculptor, Matthias Bernard Braun. A point of interest is the group of Baroque sculptures in the surrounding forests.